From multi Oscar®-winning Oliver! to BBC’s hit series Bleak House, the world of film and TV have endeavoured to translate Dickens’s immortal stories to the screen. Dickens’s highly visual narrative style inspired early film-makers and many have credited the author with providing the very DNA that cinematic language is based upon. The oldest surviving film version of a work by Dickens – an adaptation of A Christmas Carol – is from 1901 and over a hundred years later Dickens’s works are still being filmed for cinema and TV and every one of his 15 novels has been filmed at least twice. 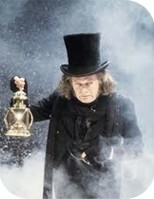 The BFI's programme of Dickens titles on screen will tour around the UK throughout 2012. The popular tale of the strong-willed boy still keeps audiences griped to their seats even though they know the ending so well. Come and view this popular tale at the National Maritime Museum with a magnificent view of Greenwich Park. (Director: David Lean, 1946. Classification: U) Described as the finest film yet made from a Charles Dickens novel, this film follows the trials and tribulations of the orphan Pip. With an unbelievable cast and a remarkable cinematography, this is an atmospheric film not to be missed. Films such as David Lean’s Great Expectations, A Tale of Two Cities (1958) and Nicholas Nickleby (2003) will be shown across cities in China alongside literary salons with Chinese writers such as Mo Yan who will discuss the relevance of Dickens in contemporary literature today. Dickens on Screen will be the largest retrospective ever staged of film & TV works based on or inspired by Charles Dickens. The season will premiere at the BFI Southbank in London in January 2012 and will embark on a national and international tour thereafter.